We admitted we were powerless over alcohol (drugs) — that our lives had become unmanageable. 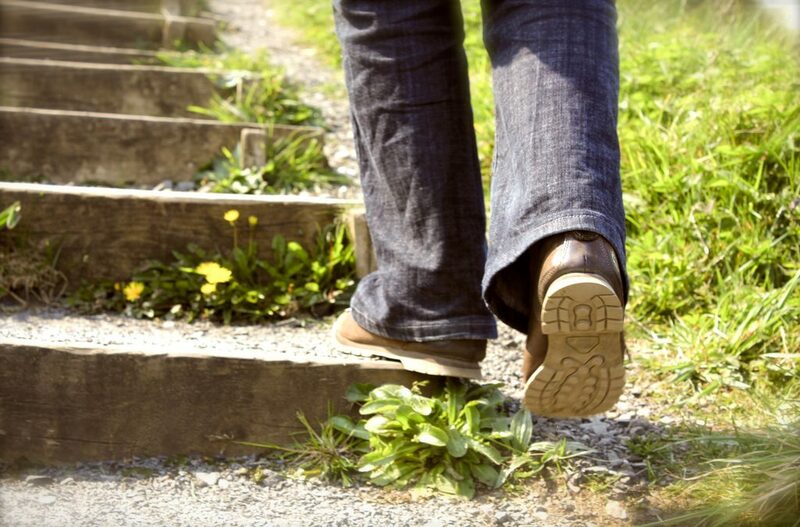 You’ve no doubt heard the oft-quoted Chinese expression, “A journey of a thousand miles begins with the first step.” To those of us working a 12 Step program, I’d like to add a short postscript. If that first step is taken with your foot pointed in the wrong direction, your journey may lead you to a place you did not intend to go! For many in 12 Step programs I believe this has happened. Their journey to recovery has not brought them to the happy, joyous and free Promised Land we read about in the Big Book. While perhaps no longer drinking, drugging, compulsively overeating or engaging in whatever behaviour may have prompted them to begin their recovery journey, true serenity and peace of mind still elude them. What’s gone wrong for so many of these travellers trudging the road of destiny? Why are our recovery rates dropping and growth of 12 Step programs slowing so noticeably all around the country? Maybe it all starts with our understanding of the first step, because everything else flows quite logically from that crucial starting point. More and more, there seem to be a lot of folks starting with feet firmly pointed in the wrong direction. Several new movements are afoot in our programs warning us that we’ve drifted far from the truth of our beginnings and we need to get back to the basics. Like most reform movements, they call for a better understanding of the history and the founding principles of our programs. I believe they’re right. Over the course of the coming year, I’d like to explore the 12 Steps with an eye toward the historical setting from which they arose. My hope is that a better understanding of our past will assure a stronger future for our programs. So let’s get started. There are two key words in Step One we need to understand clearly because a real hatchet job has been done on each of them over the years. Those words are POWERLESS and UNMANAGEABLE. Bill Wilson didn’t just pull these words out of the air when he first wrote the 12 Steps. They were vital concepts given to him by his several teachers. “Powerless over alcohol,” I would argue, refers to the original “allergic reaction theory” of Wilson’s physician and mentor Dr. William Silkworth. This pioneer in addiction treatment had come to believe that alcoholics were physically different from non-alcoholics in how their bodies reacted to alcohol. And neurobiological studies from today’s research are proving him right. Ingesting alcohol, Silkworth observed, seemed to trigger an uncontrollable craving in most alcoholics that called for the intake of more and more alcohol. When Step One says we are POWERLESS over alcohol, it means we have developed some kind of an allergy to alcohol. Just as one may be allergic to strawberries or pollen or eggs, alcoholics seem to be allergic to alcohol. When they take that first drink, the physical POWERLESSNESS is experienced. Craving is triggered and another destructive bout of drinking ensues. For the alcoholic, Silkworth argued, alcohol is poison. The alcoholic is as POWERLESS over alcohol as some people are to penicillin and all people are to arsenic. Now I go a little nuts when I hear counsellors telling alcoholic patients “You’re just as POWERLESS over people, places and things.” It’s no wonder we’re confused and pointed in the wrong direction with this step. Let me tell you, no person ever got me drunk. No place like Albuquerque or Amarillo ever got me drunk. And no thing like a car or a job or a relationship ever got me drunk either. Alcohol got me drunk, because when I drank it, I proved I was POWERLESS over it. This is a basic concept that needs to be driven home and not watered down. And how about UNMANAGEABILITY? Today, there’s probably an even greater misunderstanding of what this word means. I believe the great mistake people make with this word is using it to describe the many problems alcohol and drugs have caused them in their life. “Man, is my life unmanageable. I got into a fight, I lost my job, I got a divorce, I landed in the hospital.” Now these are all consequences of alcoholic drinking and while, I admit, it makes some sense to lump these problems under the heading UNMANAGEABLE, it’s dead wrong if you want to understand what Wilson and the early AA’s meant when they used the word. Now the first clue to understanding the history of this concept might start with the fact that it seems to be a pretty strange word. I doubt if I ever even used the word UNMANAGEABLE before I first heard it in the program. I woke up after many a drunk in some pretty strange places and I never recall saying to myself, “God, is my life UNMANAGEABLE today!” I doubt if you did either. Maybe an expletive or two, but UNMANAGEABLE? I doubt it. So why did Wilson use it? He used it because it was a well-used word in the Oxford Group where he had found his sobriety. There was a popular prayer used by the Oxford Group members that is attributed to a young boy named Victor. The prayer said, “God, I cannot manage my own life, manage it for me.” UNMANAGEABLE, the way Wilson intended it to be understood, referred to the mental obsession that every addict has with getting back to drinking or drugging. The Book says, “The idea that somehow, someday he will control and enjoy his drinking is the great obsession of every abnormal drinker.” Life is not UNMANAGEABLE when you’re drinking or drugging. It’s certainly a mess, but it’s not UNMANAGEABLE. Life is UNMANAGEABLE when you’ve attempted to quit drinking for a period of time and the strange, mental obsession pulls you back to alcohol after a few weeks or after a month or after ten years. Looked at in the way Wilson described it, addiction is an allergy of the body coupled with an obsession of the mind. Take either one out of the equation and you do not have addiction. Put both together and you begin to see the absolute hopelessness of the illness. Read the first few chapters of the Big Book and see how many times the word HOPELESS is used. Over and over again it describes “a hopeless condition of mind and body.” Step One is the full and complete recognition in the deepest part of your soul that your condition is HOPELESS. Paradoxically, it is only the “deflation at depth” that comes from such a recognition that then supplies the necessary power to propel the alcoholic into Step Two. Water this recognition down, present a softer and supposedly easier way as we have tended to do in a hundred different forms and you begin to see why we are where we are today. Let’s start the revolution! Man the barricades! Reprinted by kind permission of the author. More of his writings can be found at www.austinrecovery.org.